DESEA Peru is a special project for us, as it’s our first volunteer project. Staying true to our values, this project falls under our idea of altruism, where we choose to volunteer our time and services to an organization or project that inspires us. DESEA Peru, to put it simply, inspires us. We started with a Skype call with the president of DESEA Peru to describe what we were offering and to get as much information about the organization as possible. The call led to a personal visit to their home office and to some of the remote communities they serve in the high Andes of central Peru. 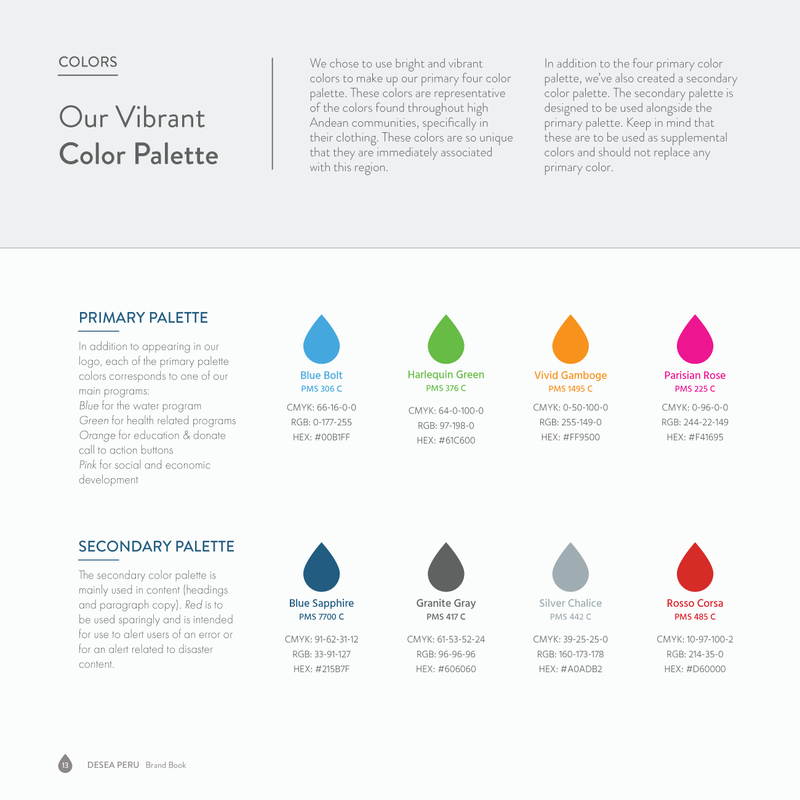 And the visit led to a five-month-long project, where we worked together closely to identify their unique organizational identity, branding and messaging, and overall website development. The first step we took in the project was to work together to create a uniform organizational identity. This took shape little by little concentrating first on the mission statement, focusing on why the organization exists. 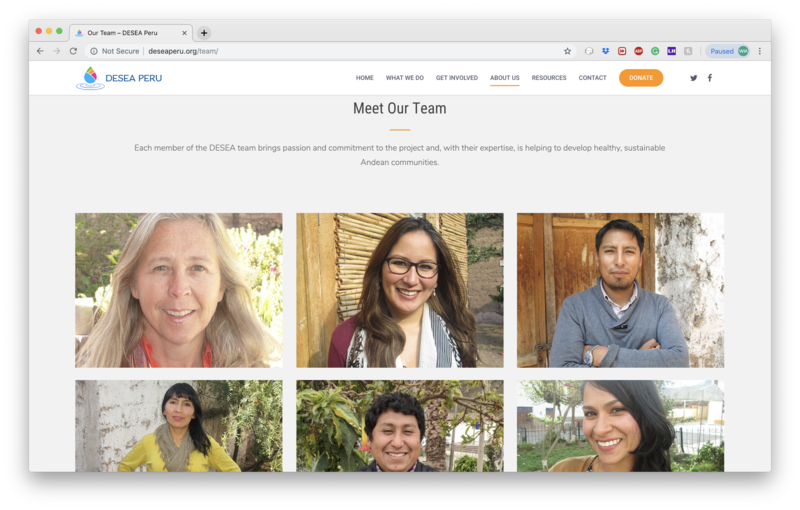 Having clearly identified the new mission statement, the next step was to consider what DESEA Peru would look like in a future successful state which led to uncovering the vision statement. 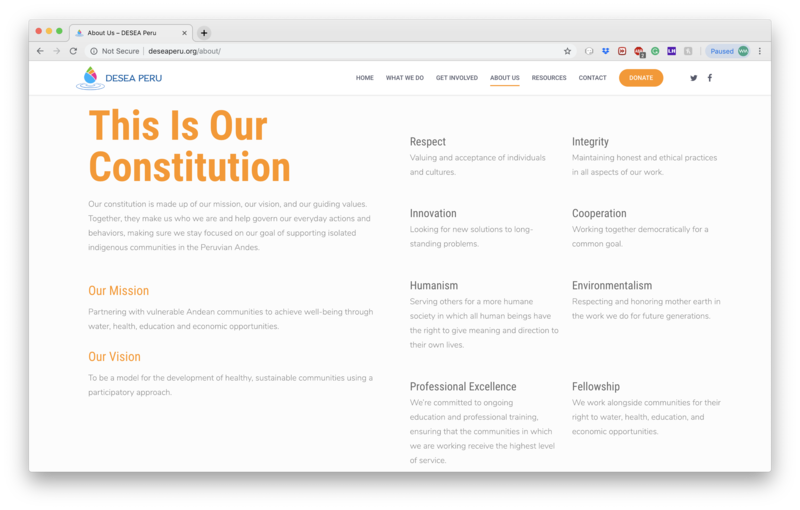 For the better part of two months, we worked side by side to craft the rest of the organizational identity, including organizational values, logo, color palette, and typography. As the organizational identity phase of the project neared completion, we shifted our attention to high-level wireframe prototypes and voice and tone (messaging) guidelines. The effort was again tackled jointly alongside the DESEA Peru team, in order to stay true to their overall vision for the project. 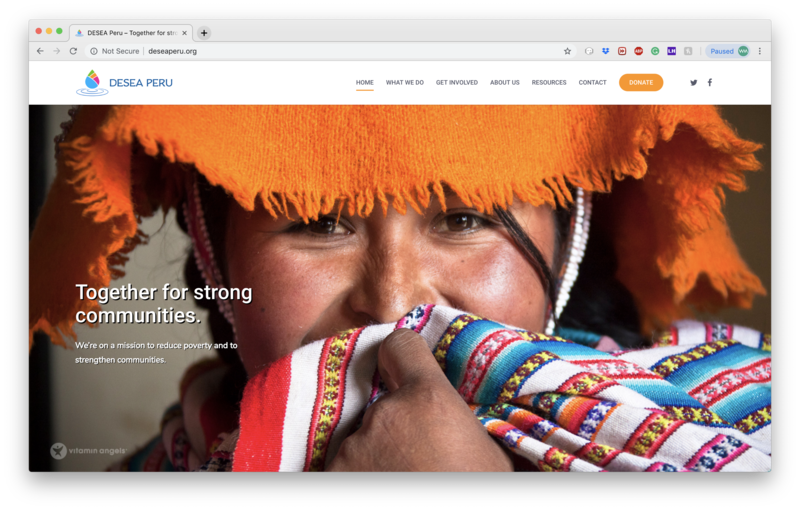 Our task was to create messaging guidelines and an online presence that expressed and captured what DESEA Peru is at their core - an organization that changes the lives of those they serve. Our solution was to use a balanced combination of images and photographs from the field along with easy to digest, descriptive content throughout the site, allowing visitors to quickly navigate and gather relevant information on the new site. After months of hard work and having undergone a long transformation period, DESEA Peru began to see a light at the end of the tunnel. As the messaging guidelines began to take shape and the high-level wireframe prototypes evolved into a working website, we increased the intensity as the excitement built. 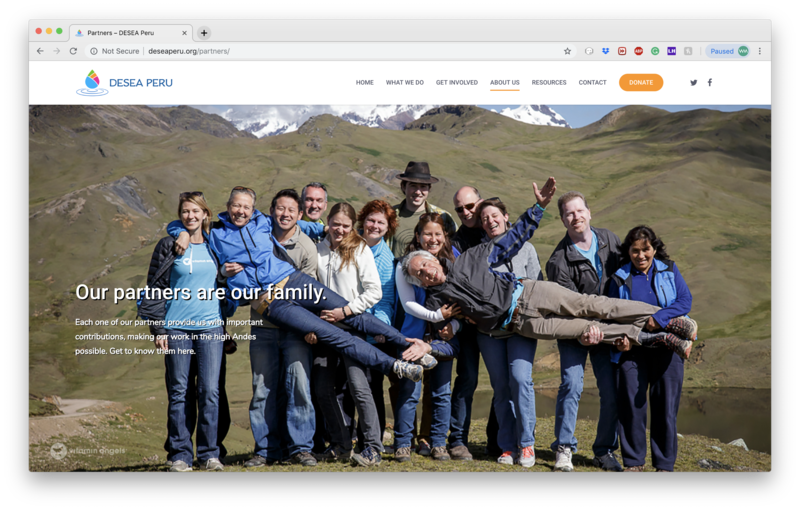 We created a robust, informative site that guides visitors through the DESEA Peru journey in an intuitive and visually appealing manner. The final product is a user-centric design that integrates the latest industry-specific trends, while also incorporating a content management system that provides ease of use for non-technical users.